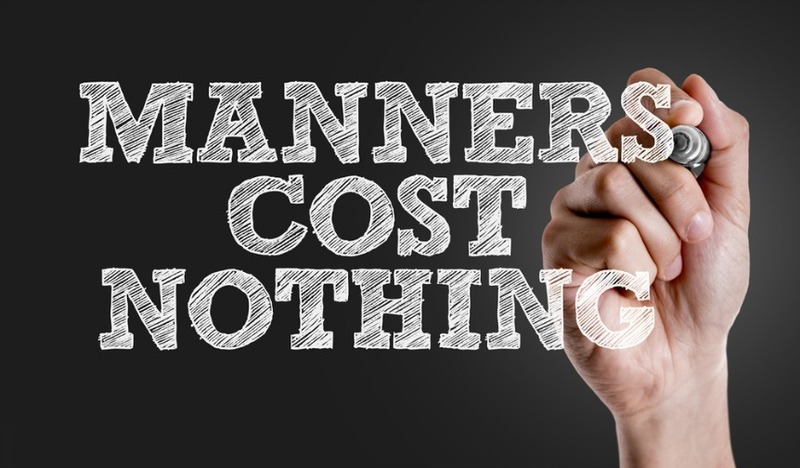 Manners and Etiquettes – I personally am fully persuaded its only the respect that – gives birth to the mannerism we carry in life, which then leads to edify to etiquettes. Then they both journey hand in hand making us WHO WE REALLY ARE. They become our signatures whether we move in a corporate circle or we just live in our personal zone. wherever we go we sure leave them as an impression of our character. And that determines the quality of our life too. I have known some great names only because they carry an uncompromised mannerism unmatched etiquettes. Now, that tells me the amount of depth of enrooted respect in their characters they carry. In this fast growing technical new age – the naysayers, vulgarity, insensitivity and always being rude is like wearing – a brand tag of ‘ being COOL’. But I strongly would choose to be an old-fashioned soul proudly – bringing the old school of mannerism in place. Manners are the behave patterns or it’s a set of behaviors which mark us as the most civilized and cultured part of the society we live in. We are often being taught how to behave and speak in a certain way …since our childhood. No matter, where we are…in life. A code of conduct is to be followed through and through – it defines your character. Excellent manners can help you not only winning relationships but would also will help open doors of opportunities which most others, might will struggle at. It could begin with as simple as holding the door – hold the door open for other people – you don’ necessarily have to be a guy to do this. Being polite and courteous is always in fashion stick to ‘Excuse me please’ ‘Thank you’ ‘my apologies’ ‘I beg your pardon’. 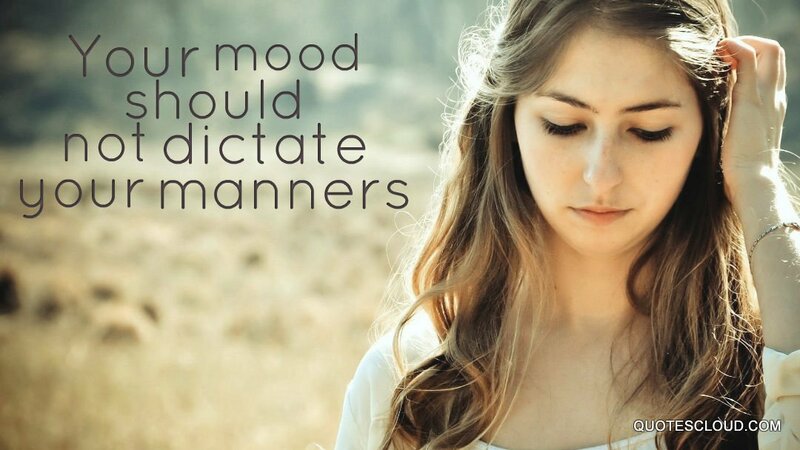 Even if it has to extend your politeness to the person serving you at your favorite restaurant. I personally have learnt to stay away from the slangs or fillers e,g – “like” “as in” “uh’. Keep a check on the tone of your voice people ain’t deaf around. Its just brings the respect for the other person and speaks volume of who exactly you are. With all the above we cannot leave the personal grooming out of it. It’s an essential element as it could be…whether you are going to work…or on a business meeting or just to the green grocer’s store. Your pristine mannerism would go out of sight absolutely unnoticed – if you’re not well-groomed enough. Grooming can begin as simple as looking your absolute best clean keeping your hair, skin, nails, outfit as clean and good as its possible. Carry a fresh look on yourself just appropriate for the setting you are in. It’s the magic word ‘THANK YOU ’. I don’ think any set of mannerism is called to be as complete if we lack to consider this normal most used word in our daily life. Please take note; to always carry your ‘thank you’ word along with your smile wherever you go. Set time aside for yourself– to be thoughtful enough to convey and write ‘thank you notes’ whether its to a friend …or to a business associate after a successful business deal. 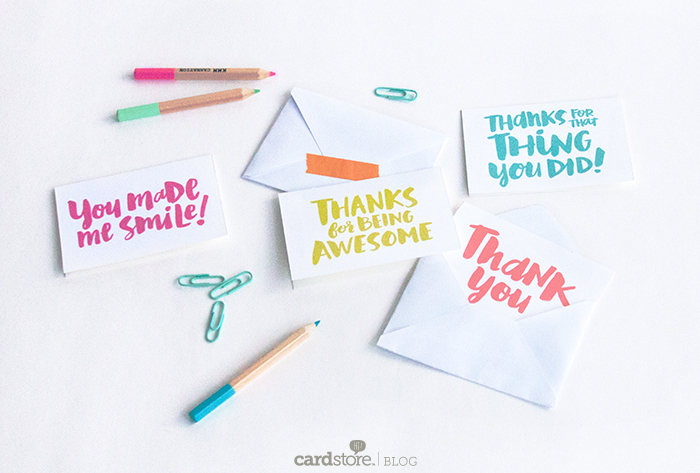 I personally always prefer ‘a hand written small thank you note’. Trust me it would take you a long way in life.